This was one of those trips I’ve been meaning to do forever and never got round to it, until now! The trainline that connects St Erth to St Ives tracks the coastline and is possibly one of the most picturesque ways to get another perspective on Cornwall. I loved the novelty of a car free day. My dog and I took the train from our local train station, Bodmin Parkway. The dog travelled free of charge and a friend of mine boarded the train at Truro to join us. The route was very scenic in the main so worth doing. The views of the coastline as the train wends its way along the line are quite dreamy in places. 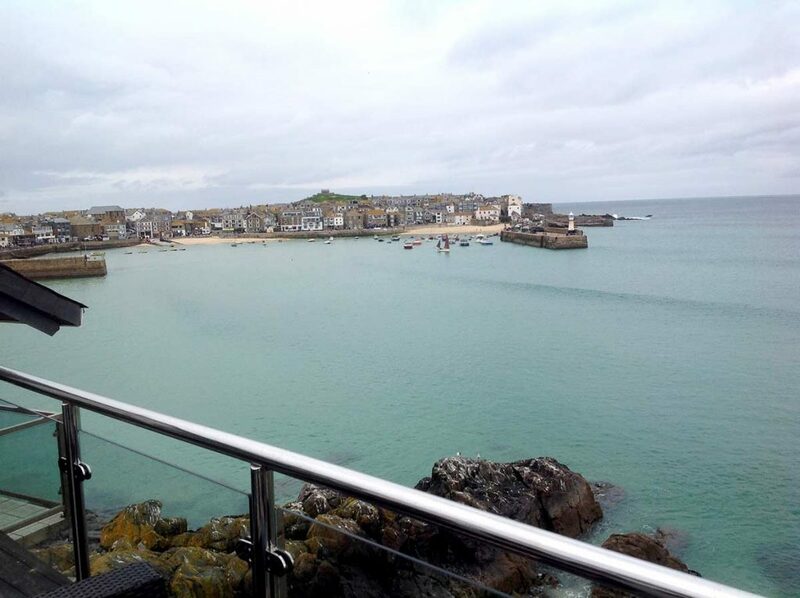 Although the journey from St Erth to St Ives only takes about 20 minutes, you feel like you’ve had some quality downtime just from staring at that view for a while! Once in St Ives it’s a very brief wander into the centre of town from the train station. It looked like parking in St Ives might be tricky, so I felt doubly pleased with myself for taking the train. The weather wasn’t great on the day we visited, but St Ives is quite a good all-weather destination because there is plenty to do indoors. There are ample shops to nip in and out of, plentiful options for a coffee or bite to eat, then there are also galleries and museums to absorb more time than you realise. Tate St Ives is the town’s major tourism draw card and well worth a visit. For a dip into local history and Cornish life back in the day, visit the St Ives Museum while you’re here. Very apt for a fishing town, it’s in a former pilchard curing cellar. Lots of interesting and quirky shops, cafes, restaurants, and pubs full of Cornish charm and character. A number of art gallery shops as you’d expect given the connection St Ives has with art. Food at The Sloop Inn also very good and pet friendly indoors, which was great given that the weather wasn’t ideal. They were very accommodating as a number of pet owners were seeking refuge from the rain in their bar/restaurant. The views from the terrace at the Pedn Olva Hotel (who were again very welcoming of pets) were super. It was the perfect stop off for a coffee before getting back on the train journey home. There were loads of dogs owners (with pooch in tow) around and about enjoying St Ives regardless of the weather, which was actually really lovely to see. Comfortable walking shoes, water and poo bags for the dog (of course) and a camera. 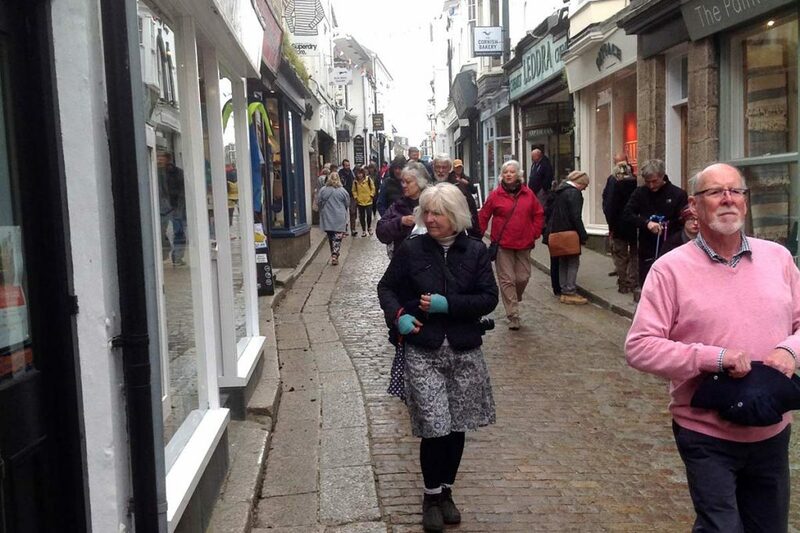 Allow yourself plenty of time to explore St Ives with its hidden nooks and crannies. I don’t think there is anyone (with the exception of those with mobility issues perhaps) who wouldn’t enjoy this trip as there is something to tick all boxes from the train journey, to the pub, to the shopping and the lovely beaches for bat and ball. This is a scenic, must-do Cornish trip! I absolutely want to revisit and do the same train trip again. I imagine the scenery on the train journey and indeed St Ives itself will differ throughout the year, making this a year round trip really. 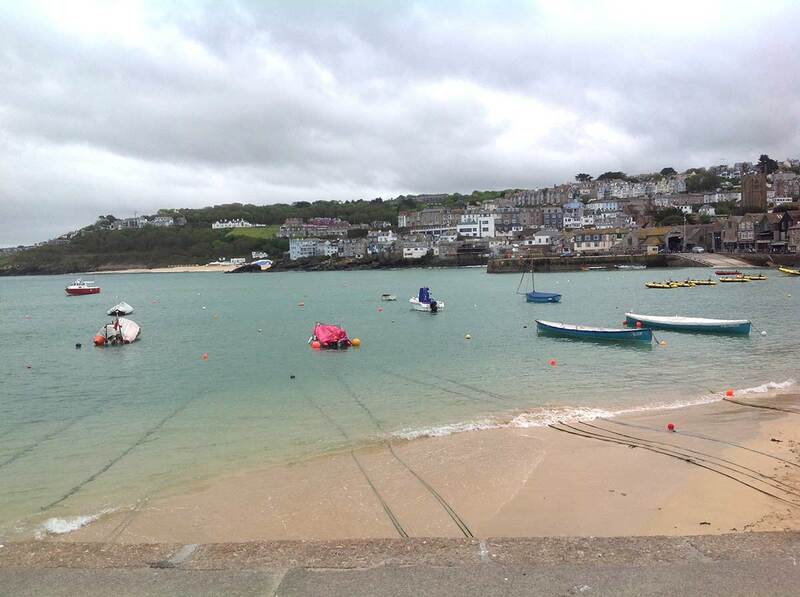 About the author: Charmian is the new holiday homes specialist here at Cornish traditional Cottages and visited the St Ives in May 2018. For her next trip she is going to the poppy fields at Crantock. To read more of Charmian’s Cornish adventures, click here.